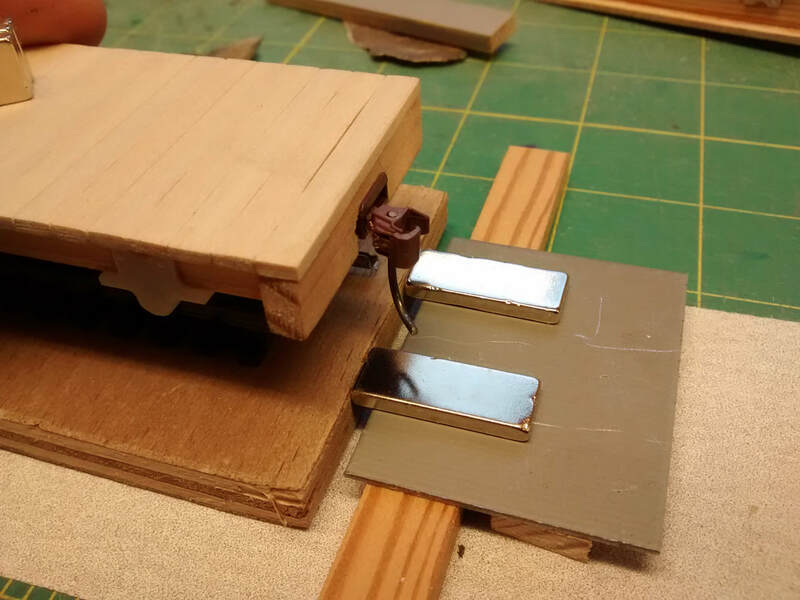 Ever since the days of Cottesmore, I've used Kadee couplers on my rolling stock and for the 7mm scale models this meant HO couplings. 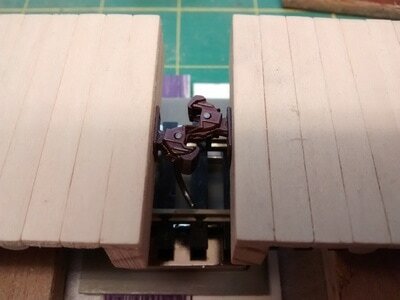 The move up to Gn15 posed an issue with regard to which size I should use, but after developing a principle for wagon size, wheels and couplings, I opted for the On3 variety. One thing I hadn't bargained for was the fact that the slightly larger On3 couplings, whilst likely to be used on HO track, actually worked like O gauge couplings. 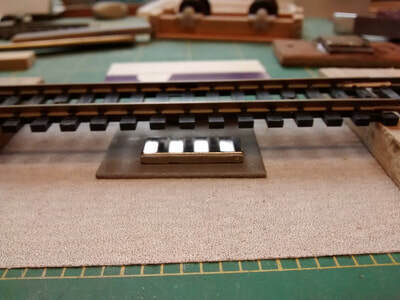 Kadee make it clear in their instructions that whilst they will uncouple using HO (between the rails) magnets, they won't go into delay. 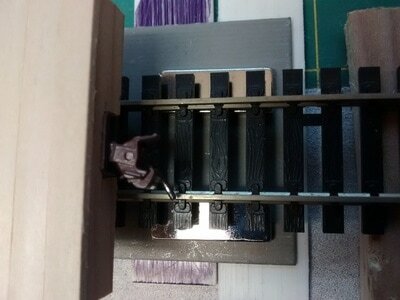 To achieve this, full width O gauge magnets are required to open the knuckles out completely. 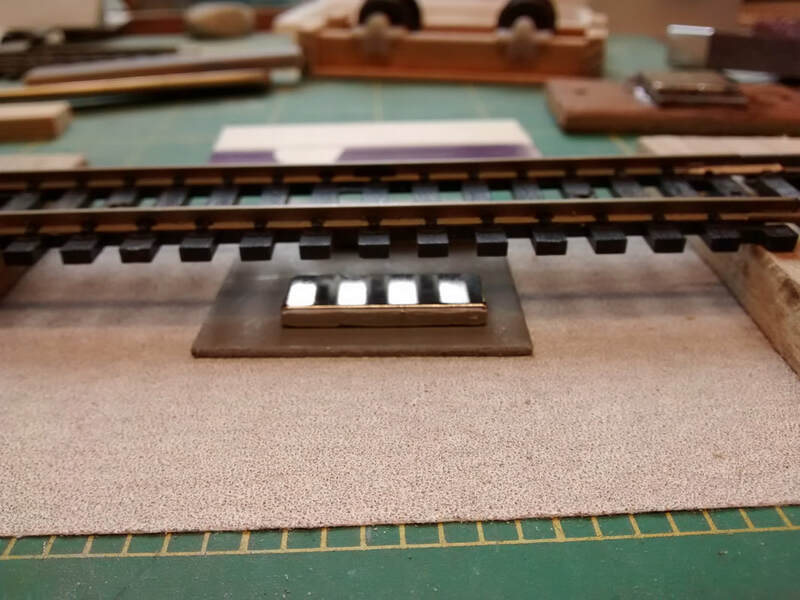 I had fitted the magnet units developed on Worton Court - an O-16.5 layout. These used neodymium magnets (very strong) that were mounted under the track. 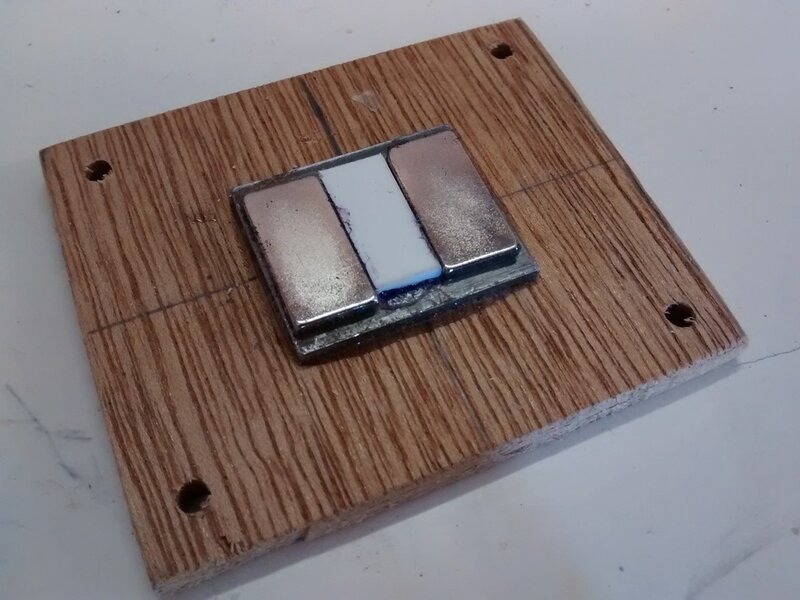 We'd had problems working out how to utilise the strange fields they generated, but finally succeeded (Worton Court magnets). ​As I wanted to have the delay feature, I set about experimenting with some magnets and almost immediately came up with a working solution. 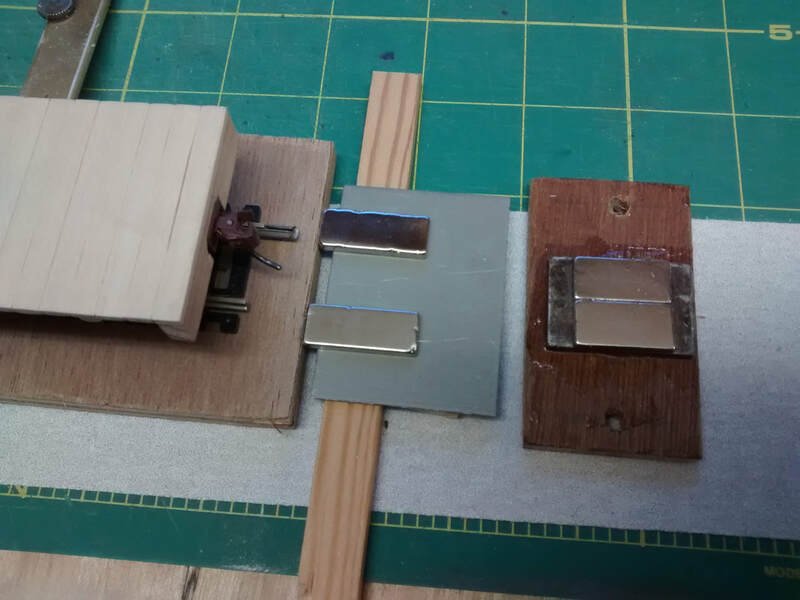 Two magnets were placed on a steel keeper and moved apart. Tweaking found that just under gauge width worked fine. 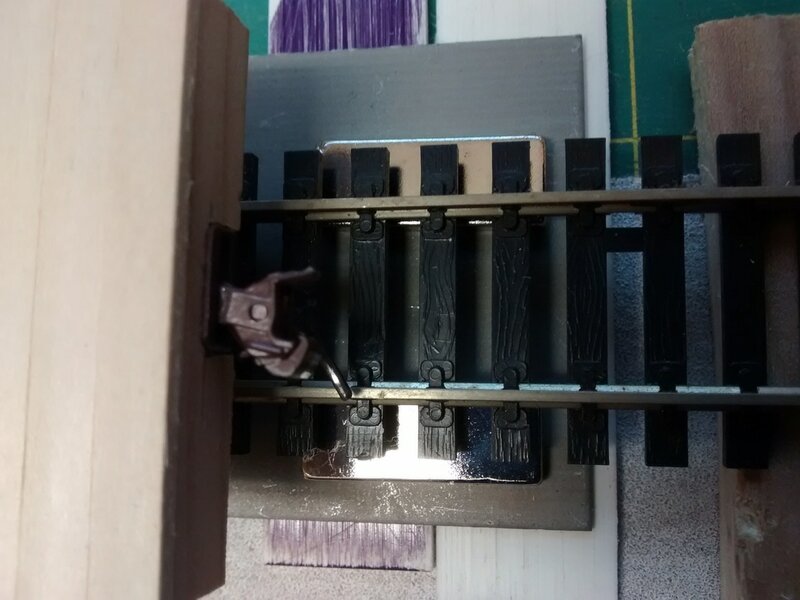 The two magnet units already fitted were replaced with two of the new design, although larger holes were required in the baseboard. The height of the magnets is also important, but the 6mm plywood meant that a rebate wasn't required in this instance. 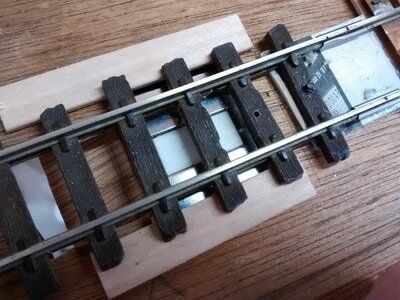 For coupler fitting information see Basic wagons.